As we look at all the trends around cloud, digitization, and technology utilization – it becomes very clear as to why we continue to see more demands around the data center. 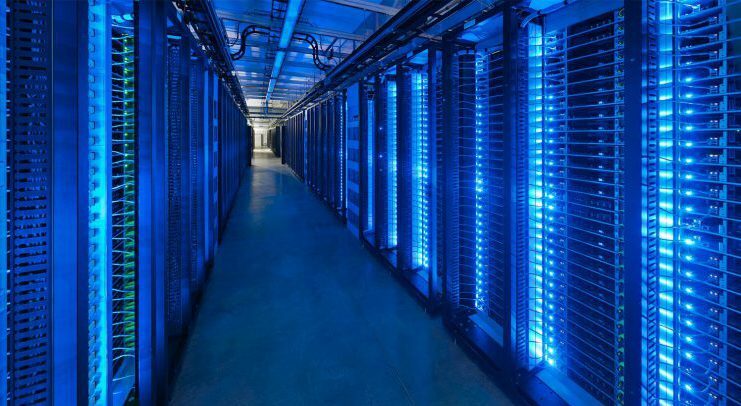 Recent reports from Jones Lang Lasalle show that over the next 12 months we expect to see user demand for smart data center solutions continue to climb, while operators will feel the heat to deliver more data, faster, more flexibly, and a lot more efficiently than ever before. Here’s the other reality – The rising cost of energy and pressure for facilities to become more efficient is quickly driving data centers to adapt solutions to better manage and plan for their day-to-day operations. 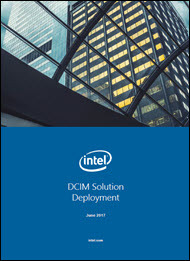 In this whitepaper from Intel, we examine how a successful DCIM solution deployment allows a manager to understand, manage and optimize the myriad amounts of data under their control. A recent study conducted by Morar Consulting, in conjunction with Intel DCM and Schneider, delves into the current state of DCIM solution adoption across, title and organization, to gain a granular understanding of the current reception, benefits, and barriers to implementation within US and UK-based enterprises. Implementing a new process while also managing the everyday ebbs and flows of data management is a significant and potentially daunting task. As such, managers usually experience a significant tipping point before bringing in a DCIM solution to the process. 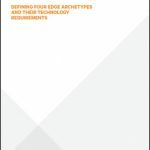 More than half (57%) of managers identified needing to solve manual, time-intensive problems through automation as the primary catalyst for seeking a DCIM solution. This truly illustrates the climate of data center management today – technology is taking a front seat to automate manual and laborious tasks, allowing managers to refocus efforts on higher level, bigger picture projects. Furthermore, size of company also dictates what is on the list of top priorities for DCIM purchase, as reasons seem to differ across size of business. For larger enterprises, reducing energy consumption was a stronger motivator than smaller or mid-size businesses(10% vs. 2%). Additionally, priorities differ across the C-suite and operational IT teams as well. When it comes to improving management of data center capacity, CIOs and CTOs are much more concerned (21%) than IT/DCMs (12%). Overall, managers who have a solution, are generally very happy with their strategy. Only a small fraction of managers would give their DCIM deployment a sub-par grade, suggesting that the majority have high satisfaction levels with their provider. CIOs and CTOs seem to convey a higher satisfaction level (50% would rate their system with an “A” grade vs 33% of Data Center Managers) which suggests there is still room for improvement for DCMs. Even with room for improvement – DCIM offers real savings when implemented properly. Managers agree that having a DCIM solution in place increases efficiency and reduces manual work in maintaining business operations. Those that currently have a solution in place are very pleased with their system. Additionally, increased implementation seems very likely with more than half of managers reporting that they plan to deploy a strategy within the next 12 months. Download this whitepaper today to learn more about the research conducted, what data center managers are looking for when it comes to DCIM solutions, and how to create a truly efficient data center management platform.